CUSTOMERS WILL RECEIVE 1 BOX OF 8 BAGS, TOTALING 8 BAGS OF QUEST CHIPS. 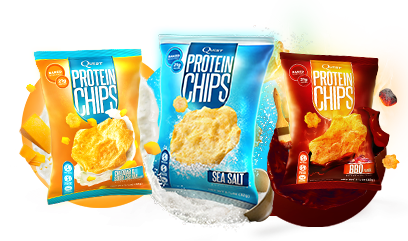 Protein Blend (Milk Protein Isolate, Whey Protein Isolate), High Oleic Sunflower Oil, Corn Starch, Psyllium Husk. Contains less than 2% of the following: Cheddar Cheese (Milk, Cultures, Salt, Enzymes), Dehydrated Butter (Cream, Salt), Buttermilk Powder, Onion Powder, Nonfat Dry Milk, Garlic Powder, Butter Oil, Whey Powder, Annatto Extract (Color), Paprika Extract (Color), Turmeric (Color), Citric Acid, Salt, Yeast Extract, Calcium Carbonate, Natural Flavors.